Audio Visual Mix I performed in September 2016 for VJ London's meeting and showcase. Visuals generated by a combination of Cinema 4D animations, video synthesis and recorded footage, which is then processed in After Effects. Everything was recorded in real time! 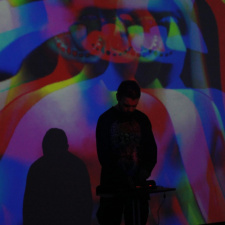 With VDMX for video mixing/additional optical effects and the audio was mixed/warped within Ableton Live. All the music used I have permission to use freely from each respective artist.